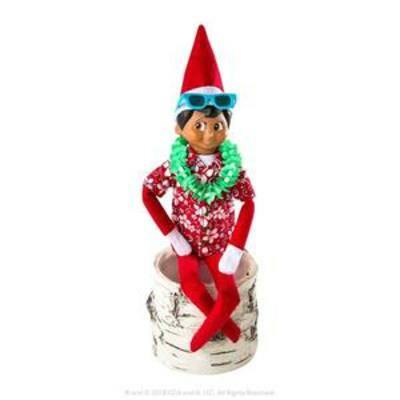 Did you know there are now compatible accessories you can buy for your Santa Scout Elf (on the Shelf?). 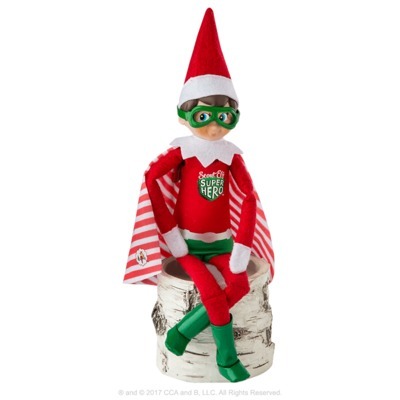 Whether you choose to welcome an Elf into your home or not, you'll have to admit that the following Scout Elf goodies are the cutest. 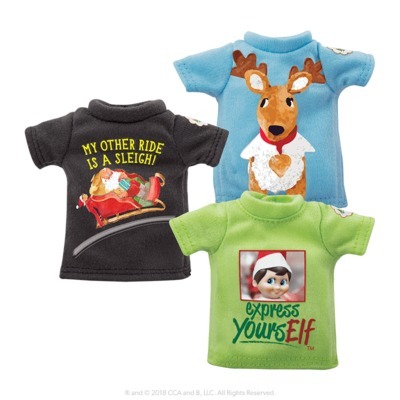 The Claus Couture Collection includes the latest miniature fashion pieces. From Superhero capes to a Holiday Hawaiian set, Express Yourself T's to Sugarplum Soldier outfits, your little helper can change his (or her) look as often as he gets up to mischief. 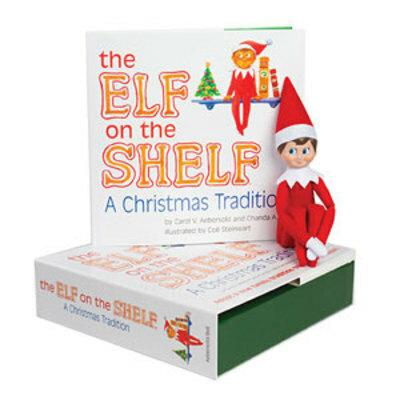 The Elf on the Shelf Christmas tradition kicked off in 2005 with the release of the children's picture book 'The Elf on the Shelf: A Christmas Tradition' by Aebersold and Bell. The Christmas themed story explains how Santa Claus finds out who is naughty and nice.. by sending Elves to visit children from Thanksgiving to Christmas Eve. The Elves would then return to the North Pole to report back to Santa. The Elf on the Shelf comes in a keepsake box that features the (aforementioned) hardbound picture book complete with a small soft toy in the form of a pixie scout elf. The idea is for children to adopt and name their Scout Elf who is then granted its Christmas magic to fly back to the North Pole each night to tell Santa Claus about all of the day’s adventures. Each morning the Scout Elf returns to its family and perches in a different place to watch the festive fun, creating a unique family moment. If you are welcoming an Elf into your house this year for the first, third or fifth time, why not add a couple of accessories to his wardrobe? 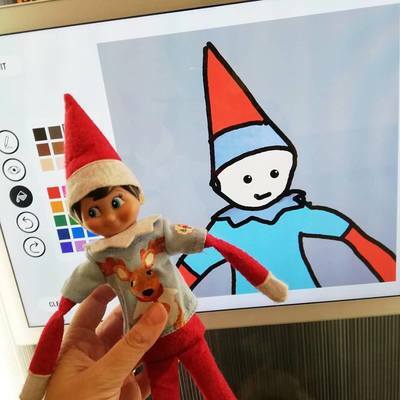 Our Elf on the Shelf at NGV Julian Opie. Check out the new range of Scout Elf accessories and Claus Couture clothing pieces Here.